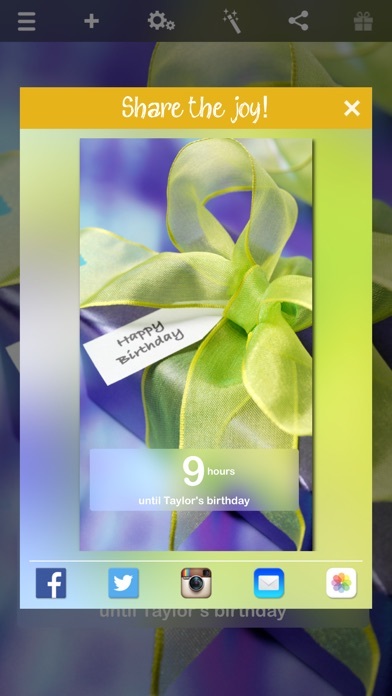 Birthday Countdown mobile app lets you count down to birthdays in style! Never miss a birthday again and have a blast celebrating! Have fun counting down with these customizable features: - FLEXIBLE countdown units - count down in any combo of years, months, weeks, days, hours, minutes, seconds and even heartbeats! (eg. 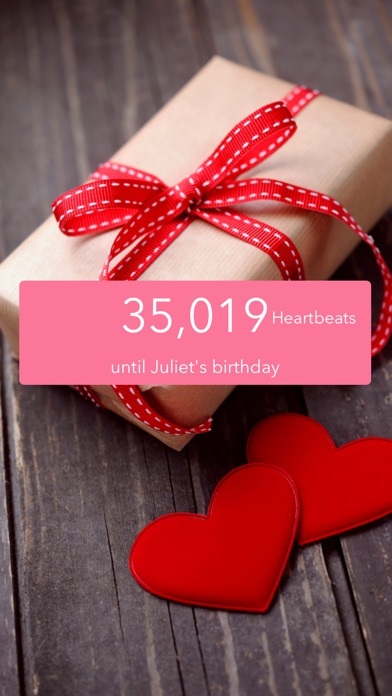 "2 months 20 mins" or "480 heartbeats") - FILTERS for background photos! - Import friends from FACEBOOK and CONTACTS with their birthdays and profile pics! - PHOTOS - choose from your own (your library, Instagram photos), your friends' Facebook albums, or a collection of FREE photos! Sort them in the order you like and flip through them while counting down! - CUSTOMIZED NAME - got a nickname for the birthday person? Type it in! 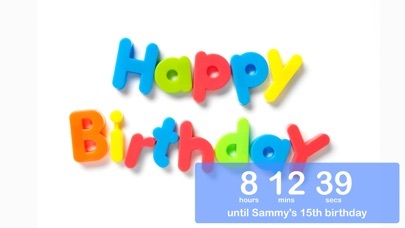 - REMINDERS - set a time to be reminded of your loved ones' birthdays! 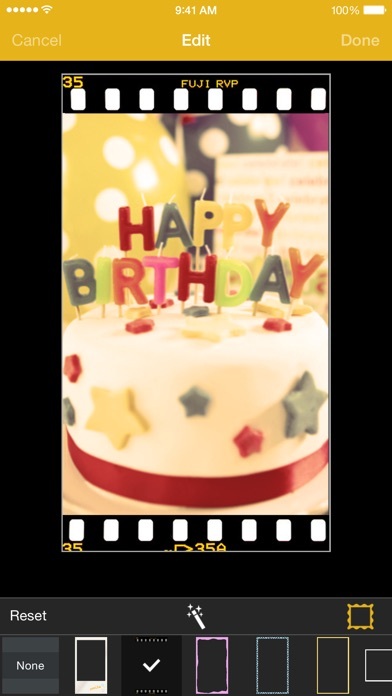 - Your own SONG - attach a meaningful song to each Birthday Countdown! - DRAGGABLE Countdown display - position it wherever you want. 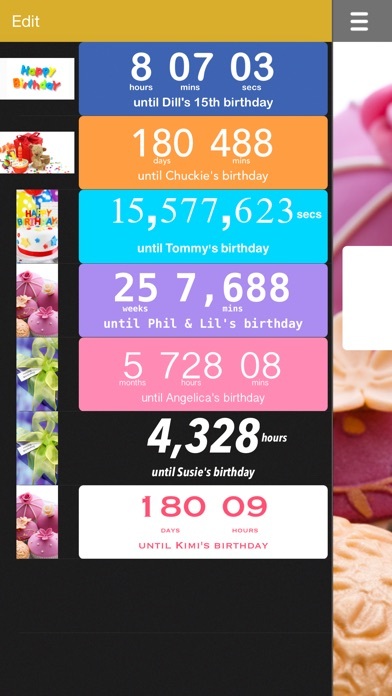 - Customizable FONT TYPES, FONT COLORS, and BACKGROUND COLORS for the Countdown display. - Track BIRTHDAY or AGE. - SMART TOOLBAR - hidden until you tab on the screen so it’s not in your way. - Works in PORTRAIT and LANDSCAPE modes. - SHARE your Countdown - share snapshots of the Countdown by Facebook, Instagram, Twitter, or email. - Earn daily REWARDS. === Upgrade to Premium and get these extra features == + MULTIPLE COUNTDOWNS (and sort them in the order you like!). + FRAMES and all FILTERS for background photos! 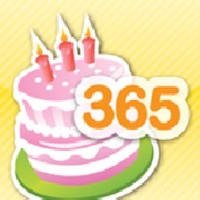 + BADGE COUNTDOWN - shows you how many days till the birthday without having to launch the app. + SLIDESHOW mode of the background photos with different animation styles and speeds. Have a blast with each birthday celebration! Make each second count!